Hängiven fotbollsteoretiker försöker laga den trasiga sporten med en byråkrats torra envishet i Corneliu Porumboius Kaurismäkiska dokumentär. Problemet med fotboll är att fotbollsplanen är fyrkantig, att mittlinjen är felaktigt placerad och att matcherna aldrig når sportens inneboende flödande potential. Laurentiu Ginghin? arbetar till vardags på ett statligt förvaltningskontor i Rumänien, men ser sig själv som en fotbollsteoretisk revolutionär vars högre kall är att förbättra och utveckla sporten i oändlighet. Med underbart torrt anslag fångar Porumboiu den gränslöse Laurentiu Ginghin?s trista byråkratvardag, hans storslagna visioner för fotbollen och hans ensamma David och Goliat-kamp mot Fifa, alltsammans förpackat i Porumboius lågmält syrliga samhällskritik och socialhumorism. 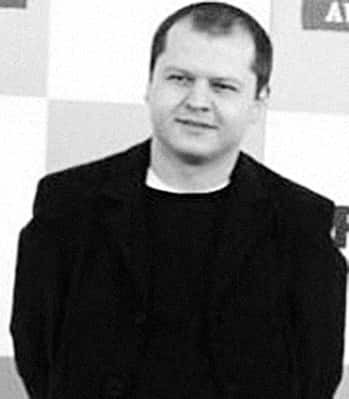 Corneliu Porumboiu, born in 1975, Vaslui, Romania, became known in 2006 for his first feature, 12:08 East of Buchares, which won the Camera d’Or award at the Cannes Film Festival where it was shown in the Directors’ Fortnight. His next films confirmed his talent as a storyteller and director. One day, a childhood friend of mine told me that his brother, Laurentiu, had changed the rules of the game of football and he had unsuccessfully tried to promote his new sport. More than ten years ago, Laurentiu had told me also about some new rules that would improve the football game. At that time, I did not take him seriously. My father was a football player, then he went on to become a referee. I also played football during my adolescence, thinking I might one day become a professional player. So, for me, the idea of changing the rules, was close to a heresy. Yet, I was intrigued by the fact that he had spent so much time trying to change the rules of football. I wanted to know the history of Laurentiu's new sport, from the moment he came up with the idea til the present day. Shortly, I realized that a conflict was hiding behind his story - Rules versus Freedom, a theme I've always been interested in. So, I had to make a film. 2015 The Treasure, Feature; 2014 The Second Game, Doc; 2013 When Evening Falls on Bucharest or Metabolism, Feature; 2009 Police, Adjective, Feature; 2006 12:08 East of Bucharest, Feature; 2004 Liviu's Dream, Short; 2003 A Trip to the City, Short; 2002 Gone with the Wine, Short.